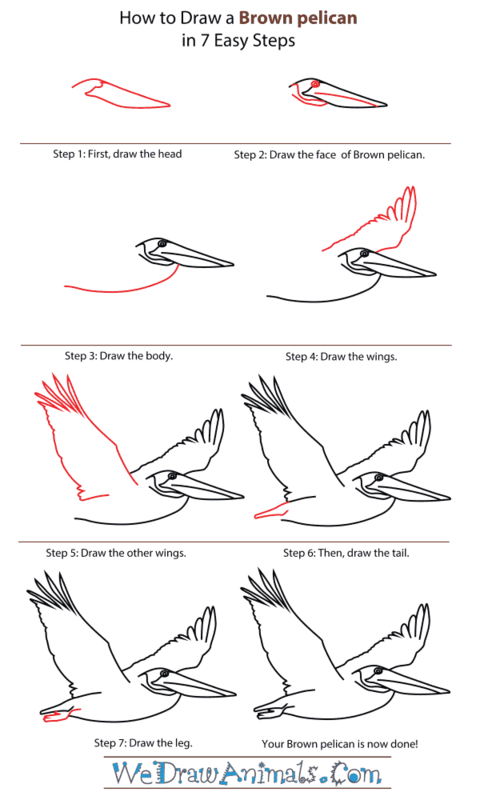 In this quick tutorial you'll learn how to draw a Brown Pelican in 7 easy steps - great for kids and novice artists. 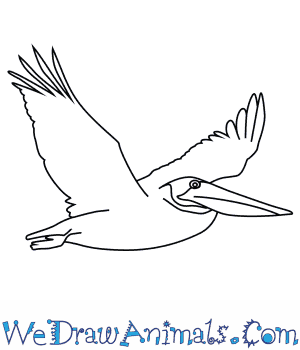 At the bottom you can read some interesting facts about the Brown Pelican. 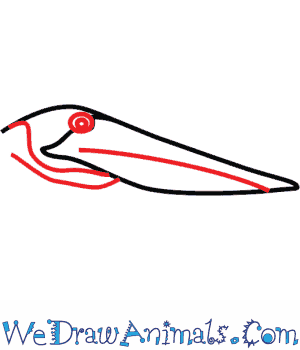 Step 1: Draw the head as shown above, with a triangle-shape for the bill and a line from that for the top of the head. Step 2: Use a single line for the mouth, one circle inside of the other for the eye, and two curves lines to define the head and neck. 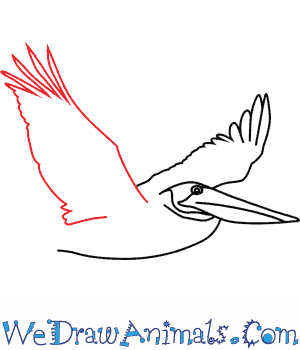 Step 3: Draw the body using a single curved line that starts from the bill. Step 4: Draw the first wing above the body. Make sure to add lines to show the feathers, with the lines being longer the farther away from the body you get. Step 5: Draw the other wing with the same rigid lines you did the first, except facing the other direction. Also split the end of the wing into separate feathers. 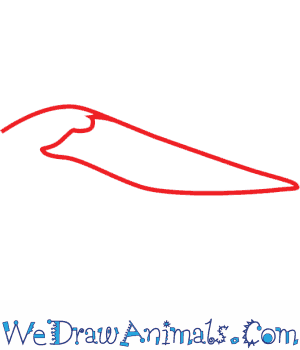 Step 6: Draw the tail continuing from the bottom of the left wing, and have it come around and stop inside the body, where the leg will start from. Step 7: To draw the leg, continue from the body and use a few lines to separate from the tail, a bit lower. Add a small indent and line in the foot to separate the toes. 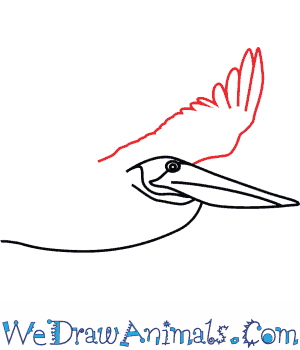 Your Brown Pelican is now done! 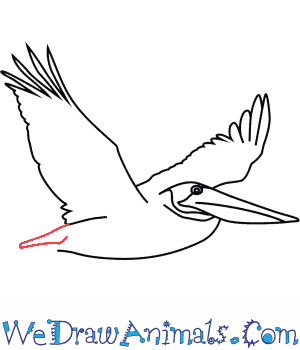 Brown pelicans are the only species of pelican that live in marine habitats. They usually do not live more than 20 miles away from water. They prefer to live near freshwater estuaries and bays. Just as their name describes them, brown pelicans are grayish-brown. They have a white head and neck, and their bellies are a shade of black. Brown pelicans in the wild have an average life span of 10 years. In captivity, they live to be about 25 years old. Brown pelicans are about 48 inches tall, and they weigh an average of 6 to 7 pounds. Brown pelicans live from western Canada to northern Peru. Their range also includes the eastern coast of the United States, down to the northern region of Brazil. Brown pelican have beaks with a pouch that can hold about three gallons of water. Their beaks become filled with water while they hunt for their food. 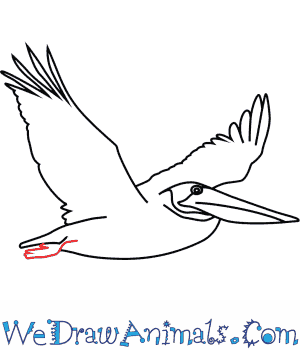 Brown pelicans primarily eat fish, which they swallow whole. They do not drink the water in their pouch. Instead, the water is drained out of the pouch before the food is eaten. 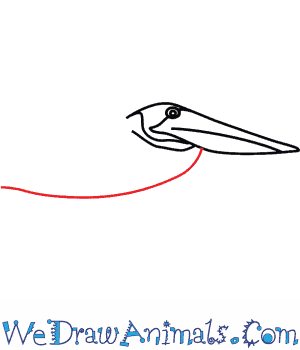 Brown pelicans eat about four pounds of fish a day.